I resisted booties for a long time. I'm sure I've mentioned this before, but I'm very short--just about 5'-2"--so I tend to steer clear of things that will cut my legs off at the ankles and make me seem even shorter. But now I am seeing short boots everywhere and I can't bear to be left out! I'm going to give them a try and look for a semi-flattering pair that hits as low as possible. I'm leaning towards some buckle details but also like the sleek look of some unadorned styles. I'm usually a flats devotee but am tempted by a slight heel too. I can't decide! Which is your favorite? Do you have any other suggestions I'm missing? Looove #4! I have been wanting booties too but can't seem to find some that I still like when I try them on. I'm pretty sure I NEED number 3! I have found myself a pair of black ankle boots that I love, but I've been on the lookout for a brown pair -- I think you might have found them for me! 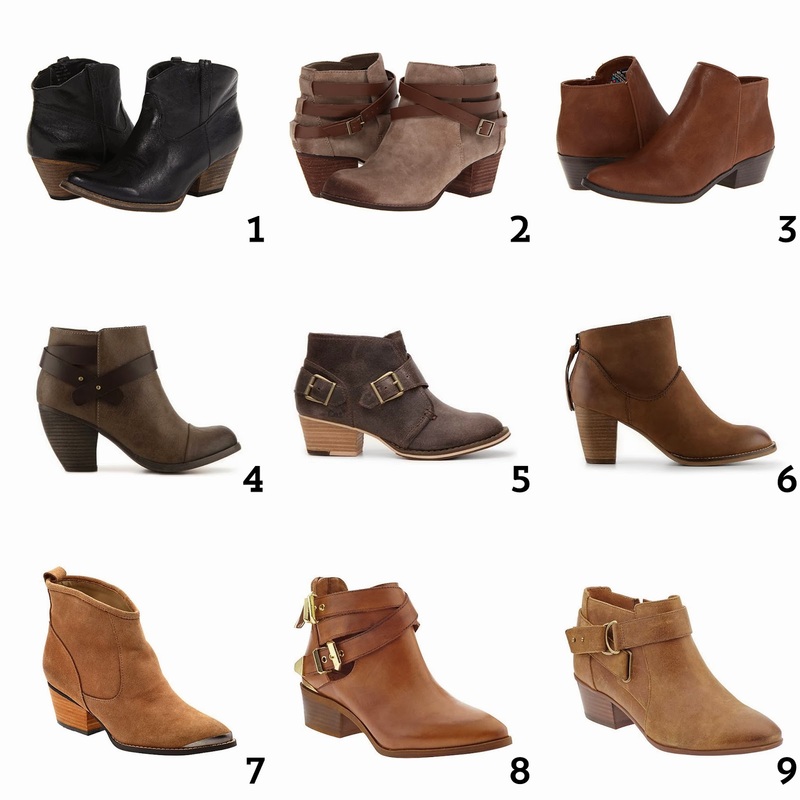 I'm 5'3 with short legs, but I would totally buy some booties if I found a decently priced pair that I loved. I've been looking for some more dressy, though. But I wouldn't mind a casual pair, as well.